The winners of the 2017 Scarlet Stiletto Awards, presented by Sisters in Crime, have been announced. New South Wales writer Rowena Harding-Smith won the $1500 first prize for her short story ‘Locked In, Locked Out, Locked Up’. Victorian writer Lucy Kiff was awarded second prize ($1000) as well as the Great Film Idea Award for her short story ‘Rules to Live By’, while WA writer Katie Mills won third prize ($500) for ‘Special Consideration’. Young Writer’s Prize: Ellen Vickerman for ‘The Last Great Australian Summer’. Chosen from 186 applications, the winners were announced at an event hosted by actress Sigrid Thornton, held in Melbourne on 18 November. 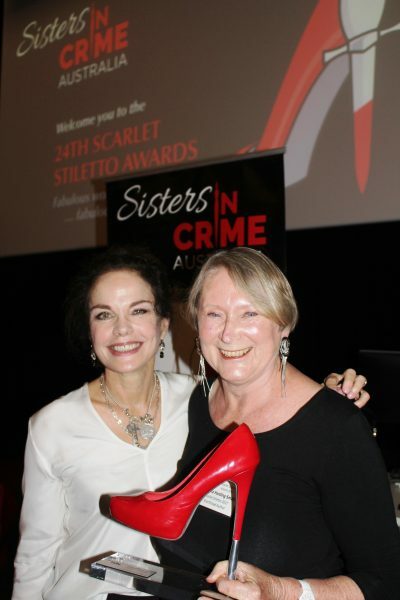 The Scarlet Stiletto awards were launched in 1994 by Sisters in Crime Australia to recognise the best crime and mystery short stories written by women in Australia. For more information, click here.